At Oxford Circus, a large pink boat was parked in the middle of the junction and Extinction Rebellion activists also glued themselves to that. Thousands of people are expected to take to the streets of central London today, blocking the city's busiest roads and bridges to raise the alarm over a mounting climate crisis. "They can change a few of the laws along with the Paris agreement so that we can really work towards achieving a practical target". 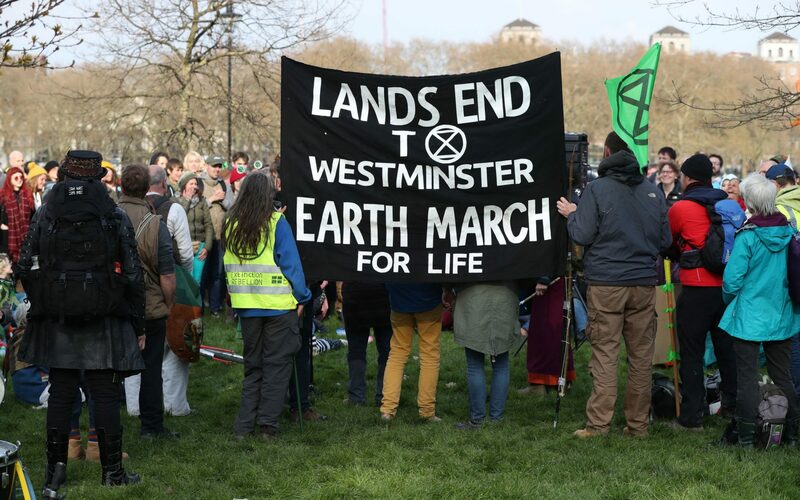 Hundreds of protesters had also blocked Waterloo Bridge, which was closed in both directions, with campaign group Extinction Rebellion declaring on their Twitter page: "We have taken Waterloo Bridge!" Activists gathered at Hyde Park yesterday and were encouraged to camp there overnight before a march towards Piccadilly Circus today. Monday will see protesters in around 80 cities in more than 33 countries hold similar demonstrations on the same environmental issues, campaigners say.